This course is designed for students who aspire to be Quantity Surveyors. 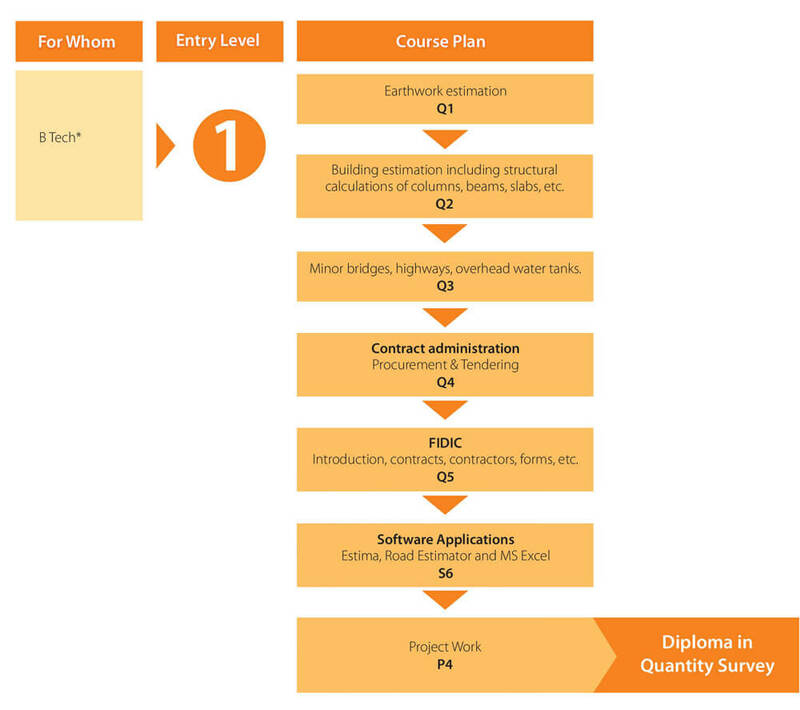 The course includes all essential aspects of quantity surveying and covers a the essential topics in Quantity Survey. All construction projects have a cost and a budget. The project becomes efficient and profitable when the costs are managed efficiently. It is in the management of the cost and budget that the role of the Quantity Surveyor becomes relevant and vital. From the moment a plan is drawn until the construction project has been completed, a quantity surveyor is likely to be involved in a legal, technical and financial capacity. He manages and control costs in construction projects which may involve use of a range of management procedures and technical tools to achieve this goal. He prepares standardised schedule of quantities of various works involved, construction materials needed and labour force required for accomplishing the projects. This enables the management to put the works on tender, pick up the builder who bid lowest price and to prepare bill of quantities and cost on completion.